On March 19, 1915, American astronomer Percival Lowell began to make photographies of the sky in the Lowell Observatory, which was founded by him, to search for a planet beyond Neptune. 15 years later, the dwarf planet Pluto was discovered on these photographies. Percival Lowell was born in Cambridge on March 13, 1855, in a wealthy Boston, Massachusetts, family. He graduated from the Noble and Greenough School in 1872 and Harvard University in 1876 with distinction in mathematics. 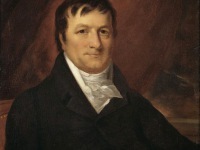 After graduation he ran a cotton mill for six years, before the Lowell family started extensive traveling in the Far East. During this time, Lowell authored various texts filled with observations and academic discussions of various aspects of Japanese life, including language, religious practices, economics, travel in Japan, and the development of personality. Thus, he was elected a Fellow of the American Academy of Arts and Sciences in 1892. In 1893, using his wealth and influence, Lowell dedicated himself to the study of astronomy, founding the famous observatory in Flagstaff, Arizona Territory, which bears his name. 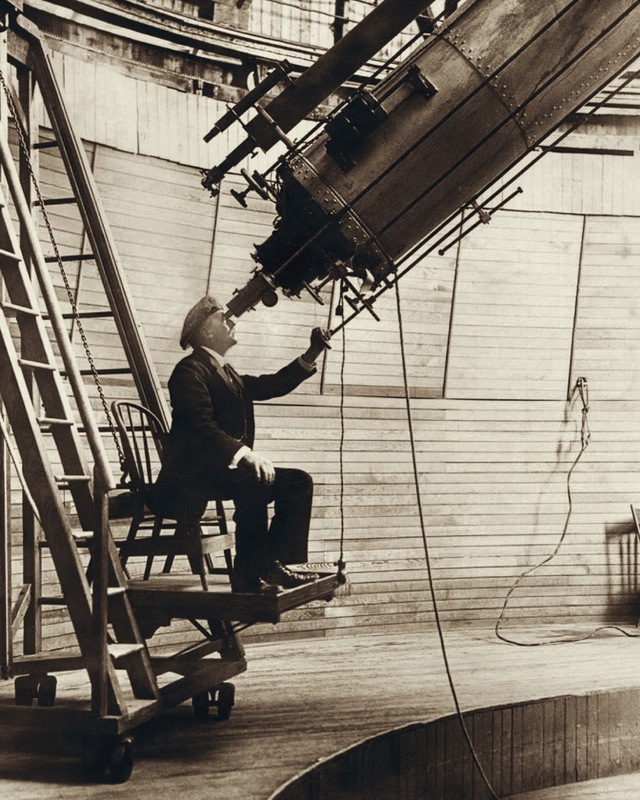 For the last 23 years of his life astronomy, Lowell Observatory, and his and others’ work at his observatory were the focal points of his life. Lowell became determined to study Mars and astronomy as a full-time career after reading Camille Flammarion’s La planète Mars. 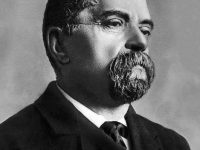 He was particularly interested in the canals of Mars, as drawn by Italian astronomer Giovanni Schiaparelli, who was director of the Milan Observatory. For the next fifteen years Lowell studied Mars extensively, and made intricate drawings of the surface markings as he perceived them. With the publication of three books on Martian Canals, Lowell more than anyone else popularized the long-held belief that these markings showed that Mars sustained intelligent life forms. Besides, he also began a detailed study of planet Venus in 1896, and began to draw maps of Venus. Lowell’s greatest contribution to planetary studies came during the last decade of his life, which he devoted to the search for Planet X, a hypothetical planet beyond Neptune. Already in the 1840s, using Newtonian mechanics, French astronomer Urbain Le Verrier predicted the position of the then-undiscovered planet Neptune after analyzing perturbations in the orbit of Uranus. Subsequent observations of Neptune in the late 19th century caused astronomers to speculate that Uranus’ orbit was being disturbed by another planet besides Neptune. Lowell believed that the planets Uranus and Neptune were displaced from their predicted positions by the gravity of the unseen Planet X. By 1909, Lowell and fellow astronomer William H. Pickering had suggested several possible celestial coordinates for such a planet. Lowell and his observatory conducted his search until his death in 1916, but to no avail. Although Lowell did not discover Pluto, Lowell Observatory did photograph Pluto in March and April 1915. Because of a ten-year legal battle with Constance Lowell, Percival Lowell’s widow, who attempted to wrest the observatory’s million-dollar portion of his legacy for herself, the search for Planet X did not resume until 1929, when its director summarily handed the job of locating Planet X to 23 year old Clyde Tombaugh. Actually, Tombaugh first was an amateur astronomer, because his initial plans for attending college were frustrated when a hailstorm ruined his family’s farm crops. 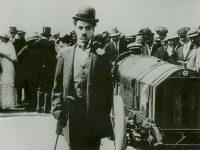 Starting in 1926, he had built several telescopes with lenses and mirrors he ground himself. At age 22, he sent drawings of Jupiter and Mars to the Lowell Observatory, which offered the a job that he obtained until 1945. Tombaugh’s task was to systematically image the night sky in pairs of photographs taken two weeks apart, then examine each pair and determine whether any objects had shifted position. Using a machine called a blink comparator, he rapidly shifted back and forth between views of each of the plates to create the illusion of movement of any objects that had changed position or appearance between photographs. On February 18, 1930, after nearly a year of searching, Tombaugh discovered a possible moving object on photographic plates taken on January 23 and January 29 of that year. A lesser-quality photograph taken on January 21 helped confirm the movement. Partly in recognition of Lowell’s efforts, a stylized P-L monogram (?) 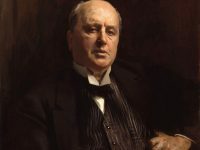 – the first two letters of the new planet’s name and also Lowell’s initials – was chosen as Pluto’s astronomical symbol (William Pickering interpreted the symbol as a monogram referring to himself and Lowell by the phrase “Pickering-Lowell”). However, it would subsequently emerge that the Planet X theory was mistaken. Pluto’s mass could not be determined correctly until 1978, when its satellite Charon was discovered. This confirmed what had been increasingly suspected: Pluto’s gravitational influence on Uranus and Neptune is negligible, certainly not nearly enough to account for the discrepancies in their orbits. Finally in 2006, Pluto was reclassified as a dwarf planet by the International Astronomical Union. In addition, it is now known that the discrepancies between the predicted and observed positions of Uranus and Neptune were not caused by the gravity of an unknown planet. Rather, they were due to an erroneous value for the mass of Neptune. Voyager 2‘s 1989 encounter with Neptune yielded a more precise value of its mass, and the discrepancies disappear when using this value. 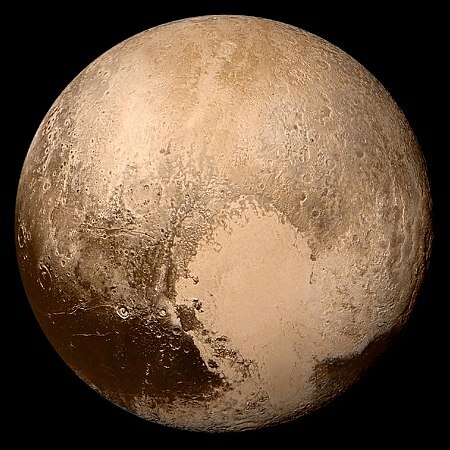 Pluto, named after the Roman god of the underworld, is the largest object in the Kuiper belt, and the tenth-most-massive body observed directly orbiting the Sun. It is the second-most-massive known dwarf planet, after Eris. Like other Kuiper-belt objects, Pluto is composed primarily of rock and ice and is relatively small, approximately one-sixth the mass of the Moon and one-third its volume. Overall, Pluto has five known moons: Charon (the largest, with a diameter just over half that of Pluto), Nix, Hydra, Kerberos, and Styx. In 2015, the Pluto system was to be visited by spacecraft for the first time. The New Horizons probe performed a flyby during which it took detailed measurements and images of the plutoid and its moons. At yovisto academic video search you may enjoy the video lecture ‘Pluto, Eris, and the Dwarf Planets of the Outer Solar System‘ by Mike Brown.